afrol News, 27 January - David Kato, a Ugandan activist fighting for sexual minorities' rights, was killed in his home by a mob today. Shocked Ugandan gay activists promise to keep on "the struggle for justice and equality." Mr Kato earned international fame when his photo was prominently featured on the front page of the Ugandan tabloid 'Rolling Stone' under the title "Hang them". The front page represented the strongest expression in the anti-gay hate campaign building up in Uganda. Until now. Today, Mr Kato indeed was found dead in his home. Preliminary reports from Kampala indicate the gay activists had been beaten to death by a mob. The activist, it seems, had to pay the highest price for lending his face to the struggle for sexual minorities in Uganda. Mr Kato had achieved some extraordinary gains in a hostile environment. 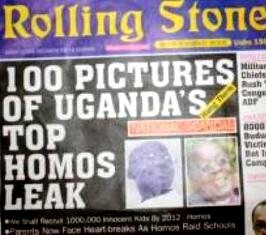 Following his complaint, Uganda's Supreme Court had stopped the 'Rolling Stone' tabloid from publishing photos of more alleged homosexuals. The Court on 3 January ruled that "the exposure of the identities of the persons and homes of the applicants for the purposes of fighting gayism and the activities of gays...threaten the rights of the applicants to privacy of the person and their homes." The court case, fronted by Mr Kato and his organisation Sexual Minorities Uganda (SMUG), caused a more diverse public debate in Uganda, with a large part of the public for the first time becoming against the hate speech propagated by 'Rolling Stone'. The case and massive international pressure also contributed to a more balanced debate about the planned legislation criminalising sexual minorities in Uganda. While the country last year was steering towards a death penalty for homosexual acts, the debate now also included voices defending minority rights. killing as yet another setback that could force them further underground. Fear is spreading. But the group quickly decided to keep on the fight. Speaking about what the death of Mr Kato means in the struggle for equality, SMUG leader Frank Mugisha today said, "No form of intimidation will stop our cause. The death of David will only be honoured when the struggle for justice and equality is won. David is gone and many of us will follow, but the struggle will be won." The sexual minorities group today could count on large international sympathy and support, including from human rights organisations and religious groups. But even a growing number of Ugandan organisations are now standing behind SMUG in support. 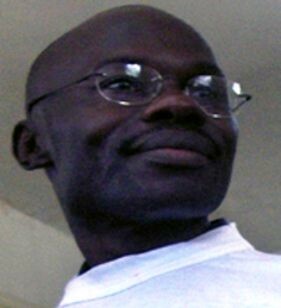 Val Kalende, leader of the Board at Freedom and Roam Uganda stated that "David's death is a result of the hatred planted in Uganda by US Evangelicals in 2009. The Ugandan government and the so-called US Evangelicals must take responsibility for David's blood!" Mr Mugisha agreed and called on religious leaders, political leaders and media houses to "stop demonising sexual minorities in Uganda since doing so creates a climate of violence against gay persons." The death of Mr Kato could mean the SMUG leader may be listened to as it has caused considerable chill in the anti-gay movement. There are now calls from abroad and home for the murderers of Mr Kato to be caught and put to trial. "The Ugandan government must immediately ensure a credible and impartial investigation into his murder," demanded Michelle Kagari of Amnesty International. Mr Mugisha added that government now needed to "seriously investigate the circumstances surrounding David's death."